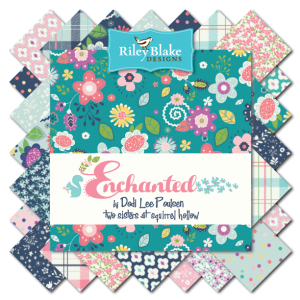 SASH Gals: Enchanted Blog Tour - Aurifil thread! Enchanted Blog Tour - Aurifil thread! Next Stop on the Blog Tour: Aurifil Thread!!! You'll want to go and check it out! Want the pattern? Click HERE to get to it in my Etsy shop. I love aurifil and those new colors are dreamy. I would be tickled to win this and create something gorgeous! Such lovely fabrics! Thank you. I'm completely in love with this line! And LOVE the Dresden you are working on. Right up my alley! I love the lights and darks of this line. Great fabric! The interview was a fun read and the threads stunning. Aerospace - how exciting and amazing. Your collection of enchanted fabrics is wonderful. All projects sure do a great job of showcasing your designing. I love your Dresden and Aurifil thread! Enchanted is a beautiful collection. The little flowers prints are adorable. I love the mint green Aurifil thread color. Thread to go with the fabrics is a nice touch! Such beautiful designs and so versatile. As a quilter and seamstress, I would be spoilt for choice! love the pics on aurifils website! And the fabrics are so beautiful! Love the fabric, would make a quilt. HI,such sweet projects! Thanks for sharing! Those beautiful fabrics are definitely Enchanted. I would love to make a quilt using the gorgeous colors. Great combo, lovely fabrics and Aurifil! Beautiful fabrics and the thread looks yummy. Dresden Plate is one of my favorite quilt patterns. I love the colors in the Aurifil thread. I want to try the Dresden pattern soon. Love the color combination in this collection! 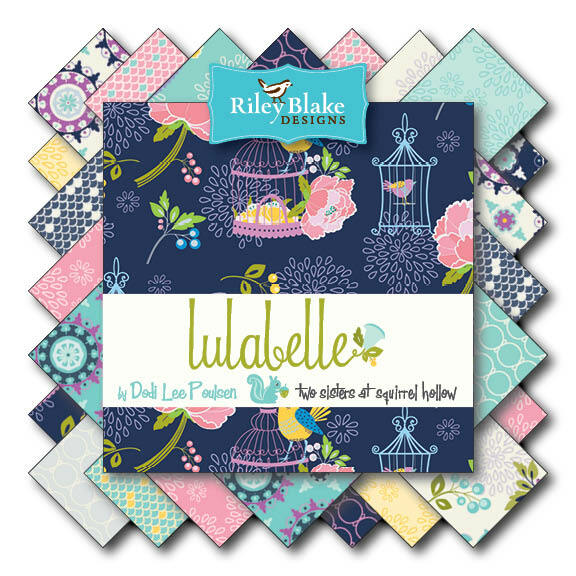 This fabric collection is awesome! Thanks! I love the colors, patterns, and handstitching on this! Such a cute project. The big stitching really makes an impression here. Your pattern is adorable! Thanks for a chance to win this inspiring prize. Beautiful fabric. I think it would make some great summer pillows. The interview was a lot of fun to read! 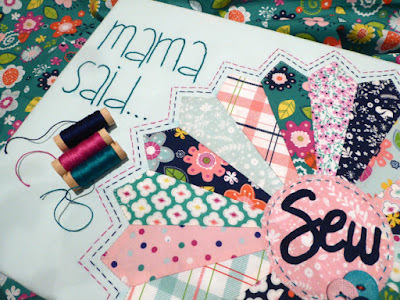 Love the fabrics, and it was a fun post to read. I love their designer interviews! That would make a great sign on the wall for my quilting room!